← St Petersburg – truly one of the most beautiful cities with truly lovely people that I have ever visited. I’m not sure what drew me to Asolo – as I could honestly spend the rest of my life in Venice or one of the smaller islands – but there was something about Asolo that brought me to this small town at the foot of the Dolomites and brought a calm over me that was much needed. Asolo is only about 1 hour away from Venice (by car or train) and for a short get away, you really can’t go wrong this tiny little hamlet. 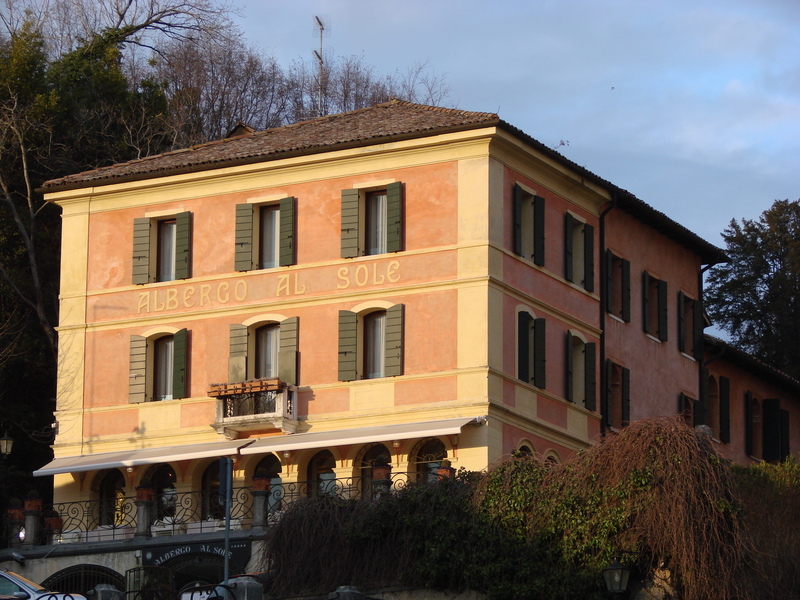 The Albergo Al Sole (http://www.albergoalsoleasolo.com/en) is a stunning hotel just above the town square of Asolo with gorgeous views to the valley below. The lobby fireplace was a lovely respite from my rainy days in Asolo and the large balcony off the dining room was amazing: I would return just for the chance to dine on the balcony alone! The rooms are huge and the breakfast in the morning outstanding! And the staff! How fantastic were they?! Always willing to help, to advise, or just to make sure everything was to our liking. And given the size of Asolo, you truly can’t be more centrally located. Although I didn’t stay here, but the name alone will certainly give you a sense of what to expect, the other competing hotel in Asolo is the Villa Cipriani (http://www.villaciprianiasolo.com/en/) about a 3 minute walk from the town square. The Cipriani presents everything that you expect from this Italian brand: glamour, views, and the staff in crisp suits. As I said, I didn’t stay here but I can tell you that the bar area is classic hunting lodge design and I can only imagine what it would be like outdoors in the summer. 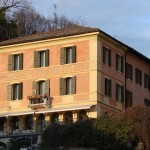 If I only had one night in Asolo, I would go back to the Locanda Baggio da Nona (http://www.locandabaggio.it/). Although the staff’s knowledge of English was somewhat limited, and the local dialect can be a challenge, I found the food outstanding! 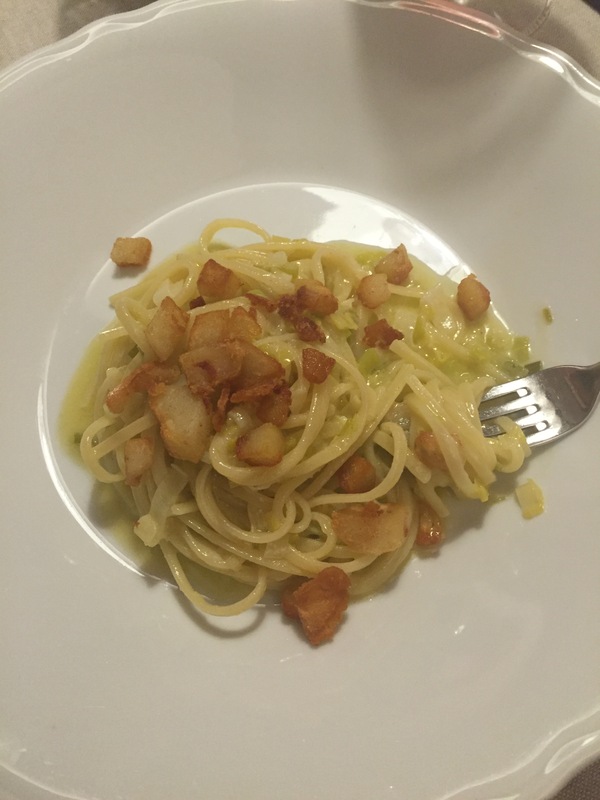 The pasta – not on the menu but kindly created for me as a vegetarian who doesn’t like risotto – was out of this world! And the interior design was just so welcoming and charming and the staff doing their best to help the table of foreigners. 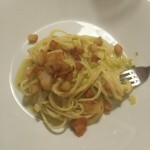 I can also highly recommend Ristorante due Mori (http://www.2mori.it/). If you look at their website, you’ll see the most stunning views of the valley below: sadly, at night in the winter, that view isn’t available but in the summer with longer days and shorter nights, I can only image what that view holds and I will return. The wine list was small but well chosen and the food was akin to a bridge between classic and modern, which I loved. We were also fortunate to happen upon a lovely little place that was absolutely fantastic for a leisurely lunch: Pane Vino e S. Daniele (http://www.panevinospa.it/). Located on via Robert Browning, under the curved arches that make this town so charming and memorable, is what appears to be a small café when, in reality, it is a lot larger and the food simple, classic, and wonderful. They also have wines by the class that, had I had more time, I would have returned just to try a few of their recommendations. This is a keeper! There isn’t a lot to really go and see when in Asolo itself so a car really is important. But before leaving Asolo, I highly recommend walking up the hill to the castle that overlooks the village, and the Albergo Al Sole, for the views. When I was here, the castle was closed – open only the end of March through the end of October – but from what I could see just from the outside, the views are magnificent. 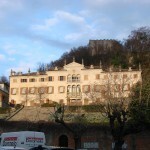 Right across the small street from the Albergo Al Sole is the former villa of Robert Browning. Sadly, it is not open to the public as it is privately owned by what appears to be 4 families, but the architecture and the grounds that slope down to the town square are out phenomenal. I so want to visit! 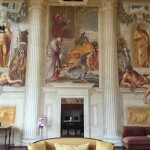 But with a car, you can visit a number of stunning designs by the famed Italian architect, Andrea Palladio (https://en.wikipedia.org/wiki/Andrea_Palladio). 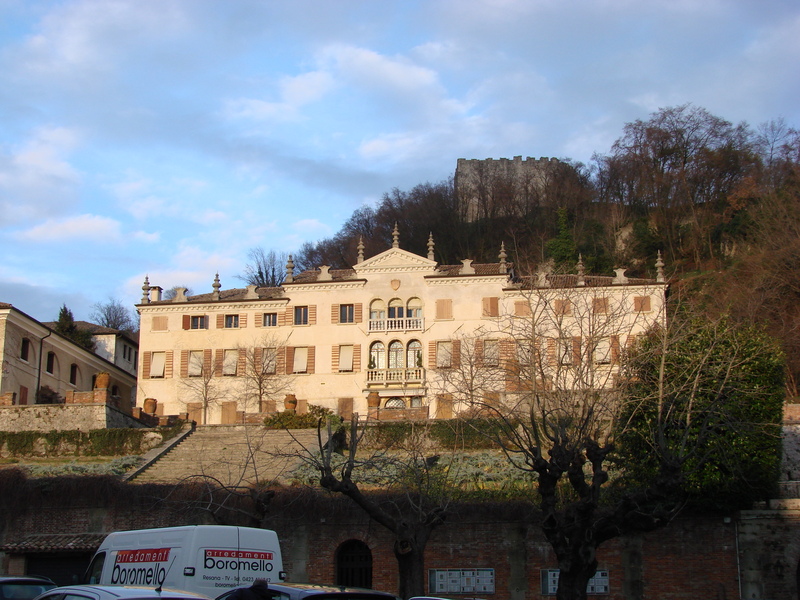 The Villa Elmo, which is roughly 25 minutes drive from Asolo (and a lovely drive at that!) is a stunning example of the work that, eventually, Thomas Jefferson became a fan of and became a reference for the US Capital building in Washington, DC. Asolo doesn’t have the big shops that Venice does, and the town doesn’t assume so much space that you can walk for hours and hours, but Asolo does bring peace and solitude that sometimes, in this crazy and fast-paced world, we need. I will return to Asolo and maybe I’ll even see you there too, having a prosecco while sitting outside watching the world, slowly, move by. 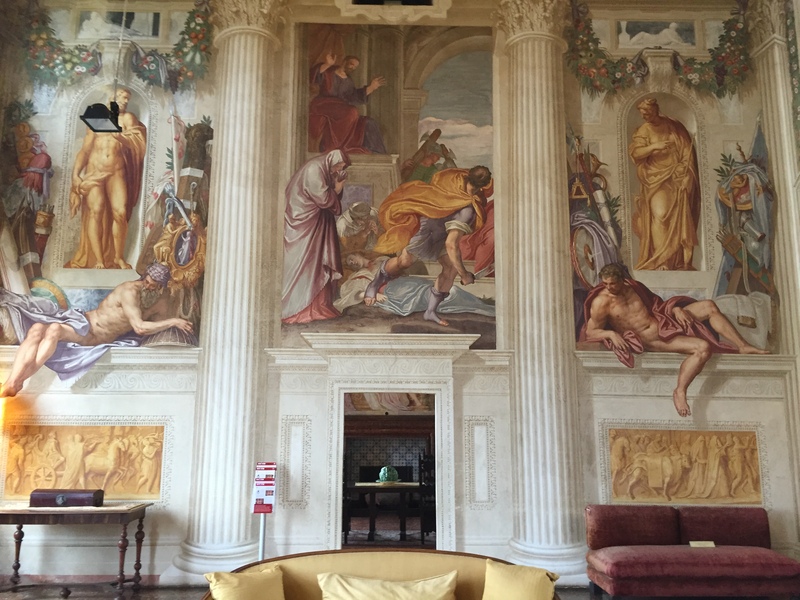 This entry was posted in Asolo and tagged Asolo, Palladio, prosecco, Robert Browning, Veneto, Venezia. Bookmark the permalink.